Nothing plastic, nothing fake, just the most authentic guitar experience in music gaming. By plugging into your PC, you’ll develop real skills and real styles while playing absolutely real music. 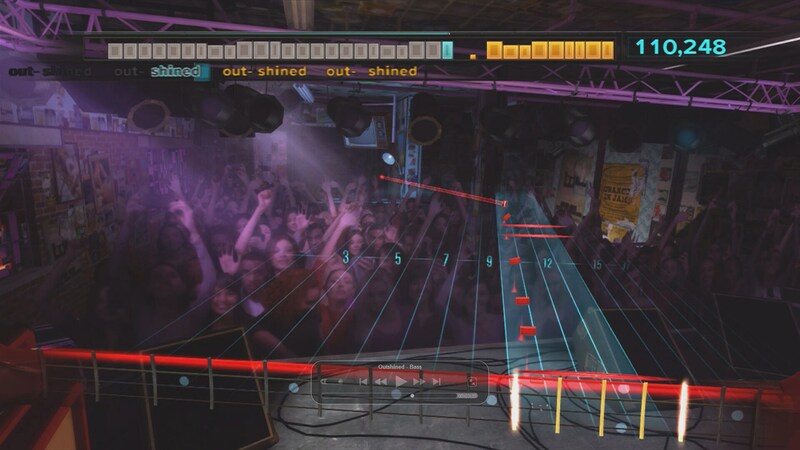 Featuring gameplay that automatically adjusts to your personal ability, and innovative game design that makes playing music visually intuitive, Rocksmith will engage experienced musicians as well as those who have never picked up a guitar in their life. Unlock mini-games to hone specific skills. You’ll also be able to choose from a large catalog of songs in different styles. You’ll experience it all with an honest-to-goodness guitar or bass. Nothing compares to playing a real instrument... Except playing Rocksmith. 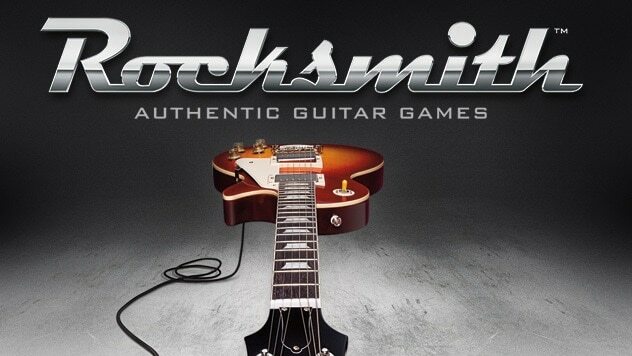 Whether it’s the six-string guitar or bass guitar sitting in your attic, your cherished faithful steed or the guitar you have yet to buy, Rocksmith lets you plug any guitar into your PC. As long as your guitar has a 1/4" output jack, you can play. No output jack on your guitar? Then head on down to your local music shop, get an inexpensive pickup, and problem solved! 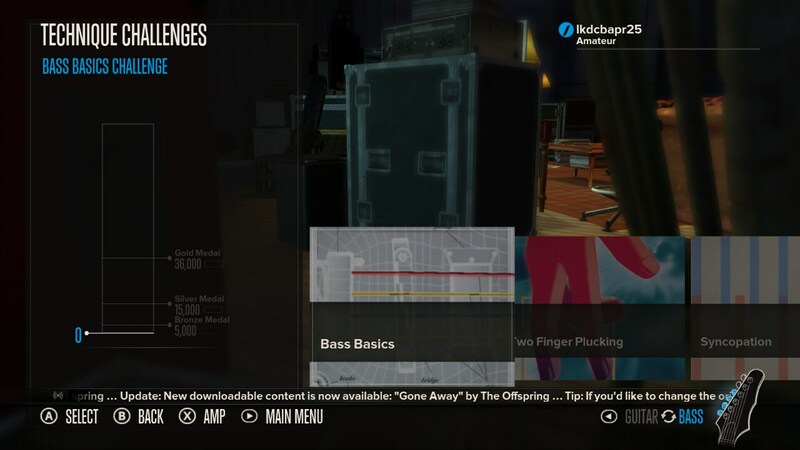 Bass arrangements have been added to all of Rocksmith’s tracks. Not only can you play the bass part of the song, but bassists of any experience can also improve their skills, like two-finger plucking, slapping, and popping, with dedicated Bass Technique challenges, tutorial videos, and mini-games. You can even use your six-string guitar to emulate a four-string bass! Tracking your progress has never been easier, with your bass progression tracked separately from guitar. You love a challenge, but hate being overwhelmed. Rocksmith understands this and knows exactly how far to push to keep you entertained and addicted – no matter if you’re learning guitar or bass. With dozens of difficulty levels, you’ll automatically progress from single notes to complex chords and techniques without ever getting in over your head. 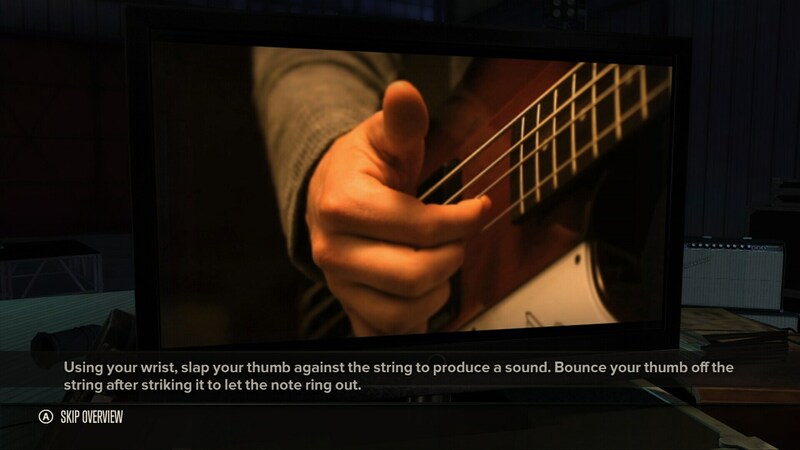 Rocksmith includes a unique 1/4"-to-USB cable – the first of its kind – and allows users to plug any real guitar or bass with a 1/4" output jack directly into their PC. Developed exclusively for Rocksmith, this cable converts the guitar and bass signal from analog to digital, and allows it to be recognized by your PC. One of the most satisfying moments for any guitar or bass player is hearing yourself play your favorite song for the first time. 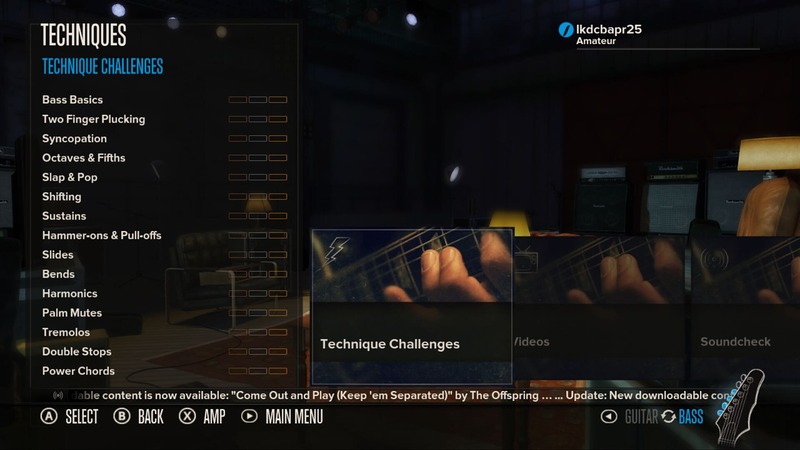 Rocksmith has amassed an amazing library of songs from different genres, allowing you to experience that moment first hand. Visit rocksmith.com to view the up-to-date track list. You want to play new songs, but you don’t want to labor through tablature or cringe through poorly produced videos. No problem. 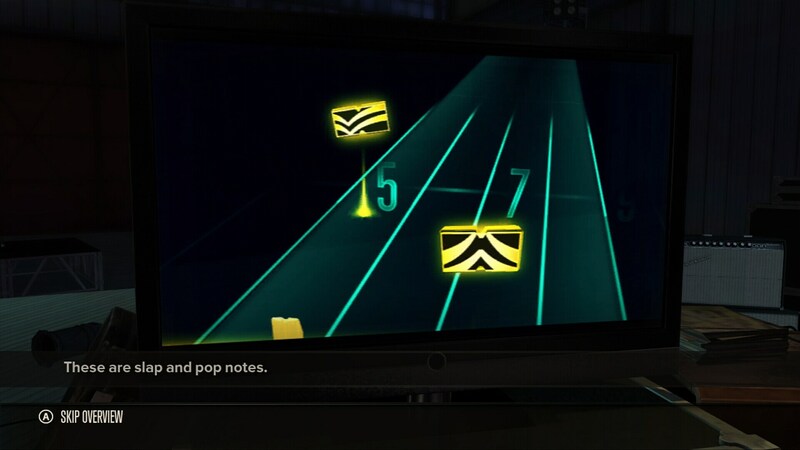 Rocksmith will not only present you with new songs, but will also challenge you to step away from the notes on the screen and play songs by memory! Imagine that... A video game that’ll get you stage-ready. .© 2013 Ubisoft Entertainment. All Rights Reserved. 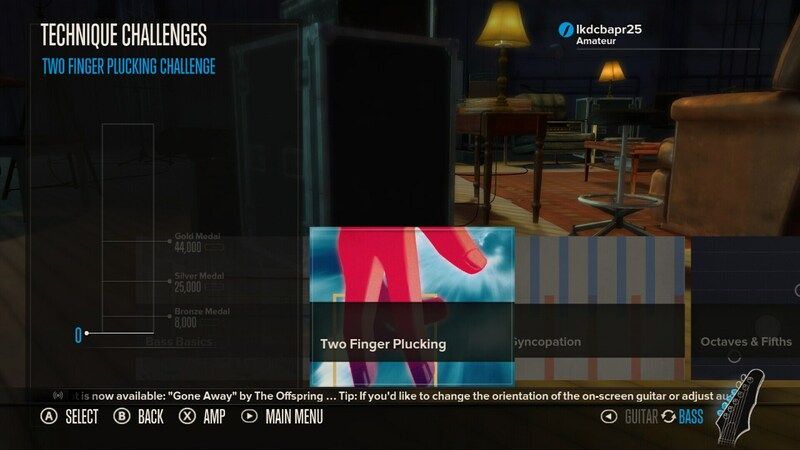 Rocksmith logo, Uplay, the Uplay logo, Ubi.com, Ubisoft, and the Ubisoft logo are trademarks of Ubisoft Entertainment in the US and/or other countries. The “PS” Family logo and “PS3” are registered trademarks and the PlayStation Network logo is a trademark of Sony Computer Entertainment Inc. Software platform logo (TM and ©) EMA 2006.